What do traffic jams, stock market crashes, and wars have in common? They are all explained using complexity, an unsolved puzzle that many researchers believe is the key to predicting - and ultimately solving-everything from terrorist attacks and pandemic viruses right down to rush hour traffic congestion. 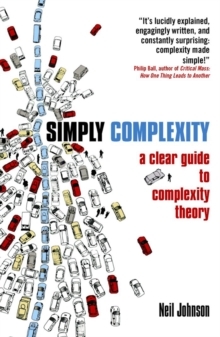 Complexity is considered by many to be the single most important scientific development since general relativity and it promises to make sense of no less than the very heart of the Universe. Using it, scientists can find order emerging from seemingly random interactions of all kinds, from something as simple as flipping coins through to more challenging problems such as the patterns in modern jazz, the growth of cancer tumours, and predicting shopping habits.